The following post is a guest blog from our friends at Bridal Creations by Essex Florist and Greenhouses! Your Wedding Designer Should be EXCITED to Create the Wedding of your dreams You have been planning your wedding all your life, and you know what that dream looks like. A good wedding designer loves the industry and loves creating unique designs for brides and grooms. Your wedding florist should be excited to execute YOUR vision. If you want daisies, then you should have daisies, and your wedding designer should be excited to sell you daisies, and anything else that makes your wedding uniquely you! You Should Expect to Meet with A Wedding Designer Your appointment should be free AND you should expect to meet with a wedding designer. Some shops have a sales staff separate from the design staff. Avoid this set up at all costs! You want to communicate directly with the designer that is going to create your floral designs. 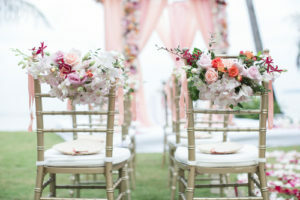 You Should Expect Your Designer to be A professional Make sure you choose a professional florist that has been in business for several years and has a good reputation. A professional florist has buying power, has the proper resources for flower preservation and care, and commercial cooler space. Avoid someone who does flowers on the side from home. You can bet your flowers will cost more, will not be processed correctly, or placed in a temperature controlled environment until the day of delivery. You Should Expect to See Real Flowers and Not Just Pictures There is a big difference between looking at a picture and seeing, smelling, and touching the flowers. You should expect to see actual flowers at your wedding consultation. A florist may not have every flower that you are looking for, but they should be able to have a good inventory on hand to show you some of the flowers you might be considering. You should expect to be able to contact your wedding designer EVEN after your order has been placed. With the internet, your wedding designer should be able to communicate with you quickly and efficiently. You should be able to email pictures, questions, or changes whenever the need arises. Affairs Extraordinaire by Marta comes to you with over 30 years of experience in the planning and coordinating of weddings and parties. 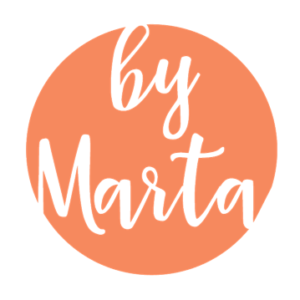 If you would like to schedule a consultation with Marta follow this link or call 410-812-7978.